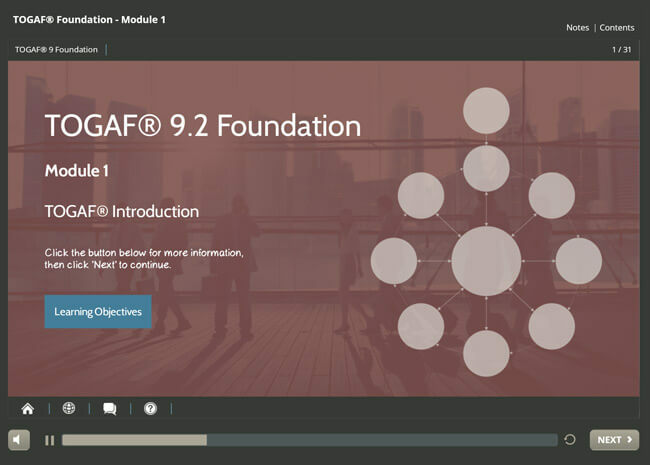 You’ve reached the online center for TOGAF 9.2 Foundation training and certification. 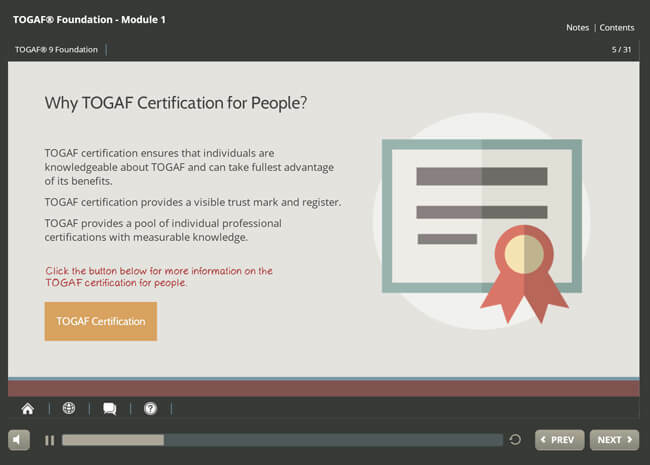 Kick start your path to TOGAF Certification by taking a fully accredited online training course from Good e-Learning. 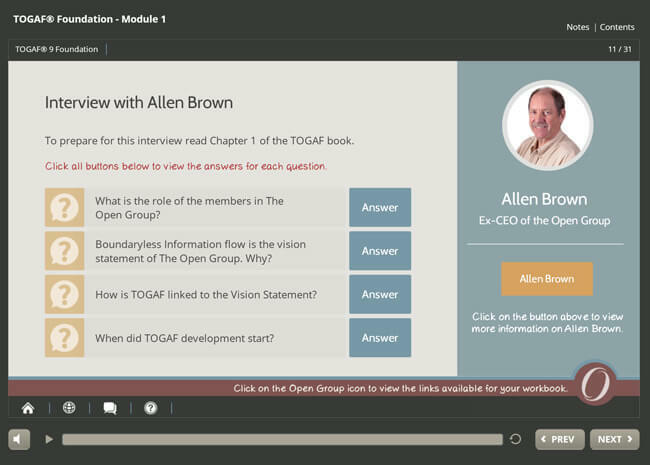 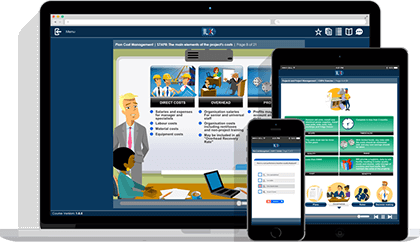 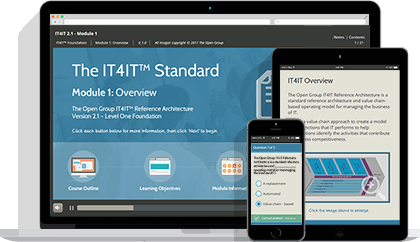 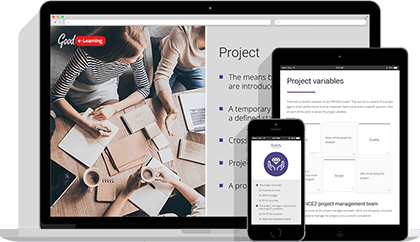 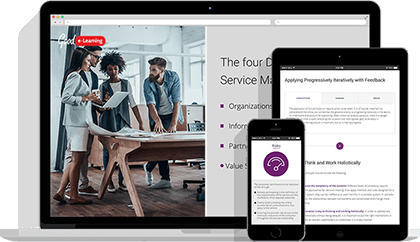 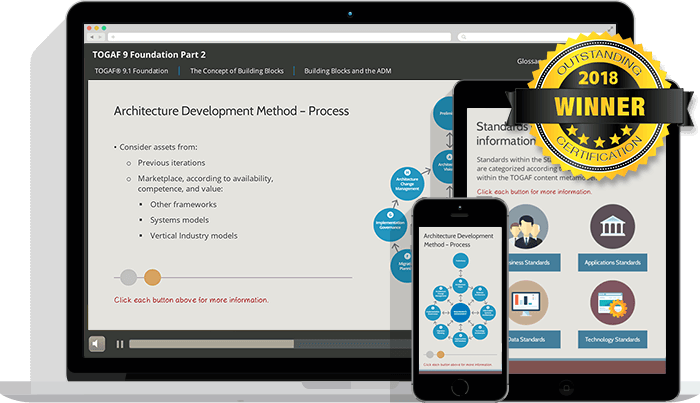 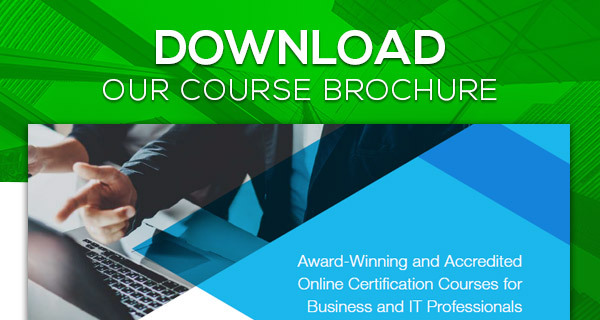 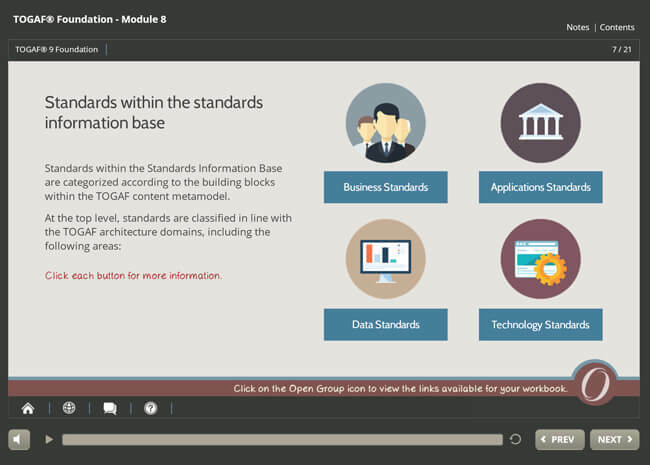 This course represents an upgrade to our award-winning TOGAF 9.1 training material, reflecting Version 9.2 of the TOGAF 9 Standard and is built around a core of interactive slides, video and audio narration. 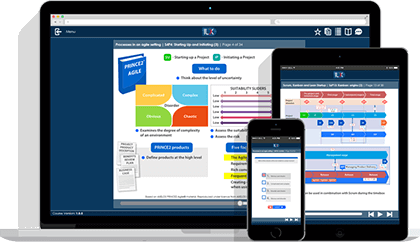 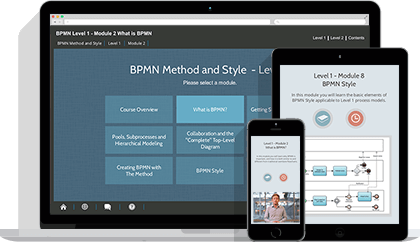 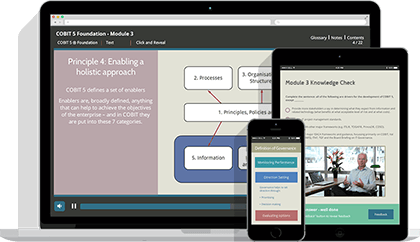 The course is self-paced, allowing the student to pause and continue their learning at their own convenience. 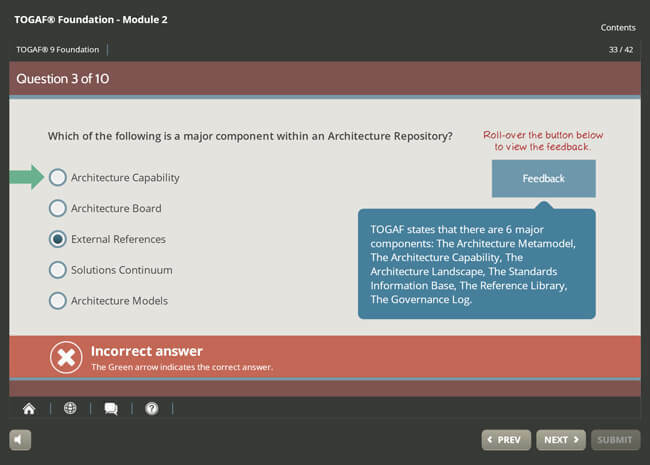 Each module concludes with a quiz allowing students to check their understanding at key moments in the course. 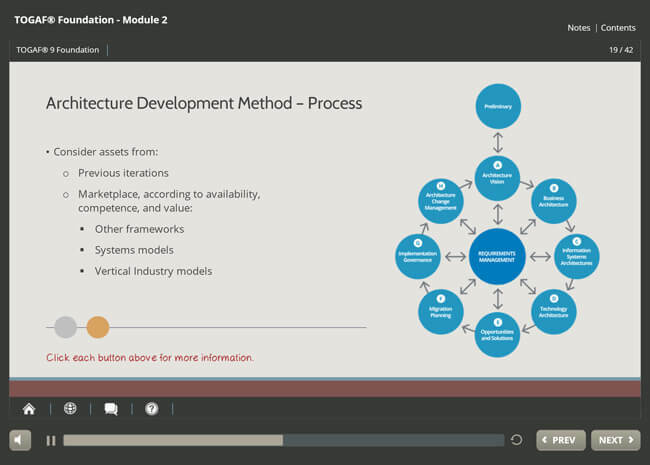 Any module may be revisited at any time. 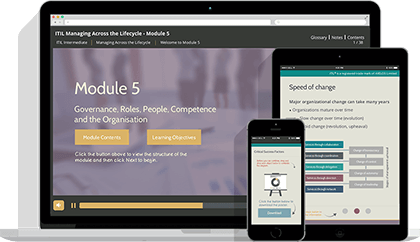 Students will receive 6 months of access to this course, as well as a FREE exam voucher. 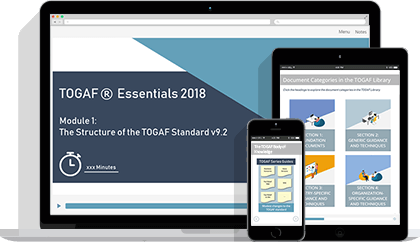 This course has been fully accredited by The Open Group and meets all the learning requirements of the latest version of TOGAF (9.2) in order for students to sit and pass the TOGAF Foundation level exam. Candidates must first pass the Foundation level exam as a pre-requisite before taking the TOGAF Certified exam. 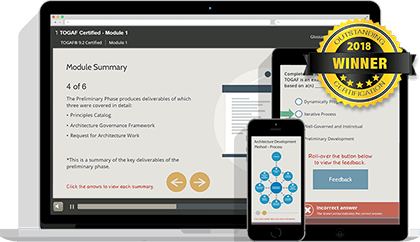 For students looking to take both exams in quick succession, we recommend taking our combined TOGAF 9.2 Certification (level 1 & 2) course.